We have just finished a demo application for All Right Now, to show how a kiosk with webcam, card dispenser and card reader can be programme to perform auto-enrolment of (say) members of a club. The application provides practical examples of how to work with the hardware using a browser-based application. 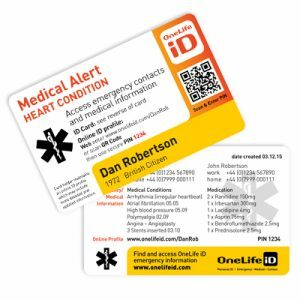 OneLife iD Medical Alert and Emergency ID Card is a convenient way to carry emergency contacts and instructions for medical conditions, allergies or for everyday peace of mind. Fits into purse or wallet. Records up to 20 lines of personalised information. The product builder we created allows the user to enter their information and preview it on the card before placing an order. The team at OneLife iD decided that they wished to make their website more responsive to the device on which it was being viewed. To this end we started a process to convert the site to a more responsive approach. The first step was a switch over to using the popular Bootstrap framework, which has out of the box support for responsive styling of web pages. The next was to work in conjunction with Pull to implement further refinements of this approach. In particular we aimed for a less regid layout than the standard Bootstrap grid layout. These changes were introduced gradually over the course of the last year. We assisted On eLife iD in adding their latest product, club member iD tags, to their website. This product is a variant of their MiniTag iD aimed at members of clubs. 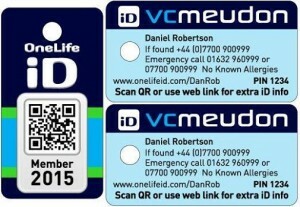 The design of the tag is specified by the club, and as these can then be purchased by members. We created a modified form of the MiniTag iD product builder to allow for the options specific to the new product. This included a new version of the colour and pattern selector, which we also applied to the MiniTag iD builder. We recently assisted OneLife iD in integrating their website with the Braintree payment system. 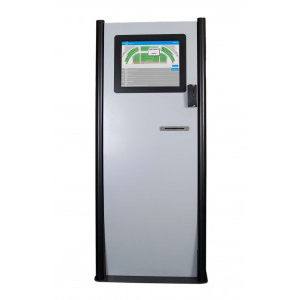 This system provides both a merchant account and payment gateway. One interesting feature is that it provides a mechanism for encrypting sensitive data in the browser prior to submission to the web server, which allows for secure payments even over HTTP. In the case of OneLife iD, the site is already using HTTPS, following its recent migration to a new server, but such additional security is welcome in any case.